How did you become passionate about beer? You probably won’t believe me but it was because of the smell. I wasn’t a beer expert at all, for me beer was just a refreshing summer drink and nothing more. Then, one day, I was transfixed by the odors coming from a brew house which brought back memories from my childhood and in particular the cereal porridge that was traditionally eaten on a Friday evening in Brittany. This inspired me to learn how beer was made and I discovered that during each phase of the production process the aromas deepen and this is what I wanted to tell people about. People were, indeed, interested to listen and my passion for beer was born. I then carried out the necessary studies to be able to satisfy my ever-growing hunger for knowledge. Beer at the dinner table: ls this becoming more and more acceptable? Having beer with a meal is a longstanding tradition. Wherever beer was produced in the world, it always accompanied a meal. Up until a few years ago, the word “table beer” was still in common use and is still a category under French licensing laws. What is new is food and beer pairing and this has helped to improve beer’s image. In order to make successful pairings, one must first be curious enough to get to know the different styles of beer and taste them. However, there is still a big hurdle for beer to climb, as people are so accustomed to drinking wine. 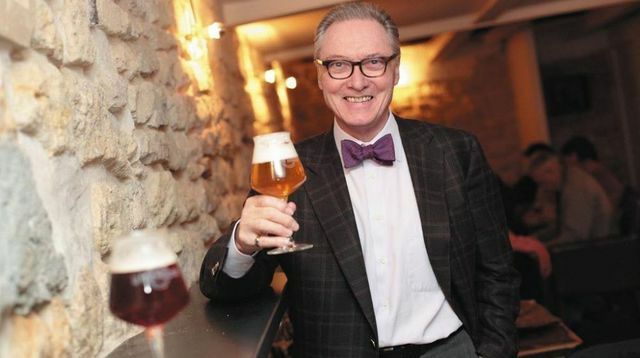 I do not believe that beer should in any way take the place of wine but it is a good alternative: It is becoming successful in cities like Lyons, at Palégrié for example and at La Fine Mousse in Paris, where only food and beer pairings are available. You were one of the participants on the first Hautes Etudes du Goût programme. Could you tell us how what you learnt during your studies has helped you in your professional career? When I started the programme, I had only ever learnt about beer and specifically how it is made and how to taste it as an expert. I found the quality of what was taught on the programme and the opportunities for fruitful exchanges exceptional. The programme also offers a global vision of the world of taste, gastronomy and fine dining. More specifically, in relation to my line of work and its development, there was everything to do with physiology, olfaction and sensorial rediscovery and, in particular, the language of emotions. The story didn’t end there though as I still share and enrich my knowledge with the other students, whom I met on the programme, who are scattered throughout the world. Could you share a particularly outstanding food and beer pairing experience with us? White beer and seafood: A very delicate and subtle pairing! There is nothing I like better than making a seafood vol-au-vent with white beer. Depending on what is freshly available and the Chef’s inspiration, the vol-au-vent may not always be the same but will always be a gastronomic discovery. Lightness is the key. The puff pastry dough and the white mushroom sauce can be made with white beer. This vol-au-vent with white beer, served cool but not ice-cold, is a particularly successful pairing. The white beer brings aromas of citrus fruit and mild spices and an acidic flavor. The white beer should be served in dinner service glasses.